For companies that use large amounts of liquid products, ordering drums makes sense. Buying one drum, rather than numerous smaller containers, can be a more economical way to purchase liquid chemicals such as Specialty Cleaners and Temporary Assembly Lubricants. Cost savings may be realized in reductions in product cost, packaging cost, and shipping cost. What’s the Correct Way to Open a Drum? There are a variety of different drums on the market and a wide array of drum manufacturers, so it’s always a good idea to follow the best operating procedures for the particular type of container in your possession. At International Products Corporation (IPC) we use sturdy, yet lightweight, plastic drums for our products. Our customers often ask us for easy methods of opening and dispensing products from drums. We recommend using either a pump or the faucet that is attached to each drum. Watch our detailed videos for step by step instructions for both methods or follow the guidelines below. 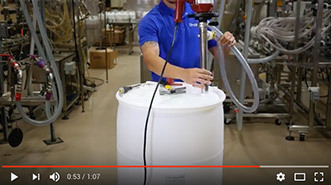 Check out IPC’s series of “How-To” videos for other helpful tips on using Specialty Cleaners and Temporary Assembly Lubricants. Contact IPC’s technical team to help you find the best solution for your assembly or precision cleaning needs. Rubber is truly a unique material. It is elastic yet strong, smooth yet tacky, lightweight yet insulates and protects, and soft yet abrasion-resista nt. Rubber stretches and compresses, waterproofs no matter its thickness, and remains flexible over a wide temperature range. What’s more amazing is that any of these properties can be optimized by compounding rubber articles using select elastomers, fillers, processing aids, activators and vulcanizing agents. Rubber’s versatility is only limited by one’s imagination. It’s no wonder rubber is so valuable in many industries for an unlimited number of applications including vibration and sound dampening, sealing, electrical and thermal insulation, chemical transport and waterproofing. To protect product integrity and ensure environmental and worker safety, engineers became involved in the lubricant selection process. Design Engineers, Lubricant Engineers and Ergonomic Engineers all take part in choosing the proper lubricant for each assembly process. Design Engineers are concerned with design tolerance, part breakage, production rates, dry time and material compatibility. Lubricant Engineers are more focused on performance, cost, regulatory compliance and toxicity approval. Ergonomic Engineers remain focused on worker safety and consider factors such as friction and effort reduction, production rates, quality and consistency, and health and safety hazards. The lubricant selection process has evolved so that it is now a true collaboration between Design, Lubricant and Ergonomic Engineers. Download our presentation here, and learn more about this multi-disciplinary engineering approach to selecting assembly lubricants. Contact IPC’s technical team to help you find the best solution for your assembly needs. Rubber hoses are everywhere! Have you ever stopped to consider how many everyday items have hoses? Cars, trucks, buses, planes, boats, motorcycles, construction equipment, appliances, pumps, and medical equipment all contain hoses. So, what exactly is a hose? Hoses are flexible hollow tubes that transport fluids, or gases, from one location to another. 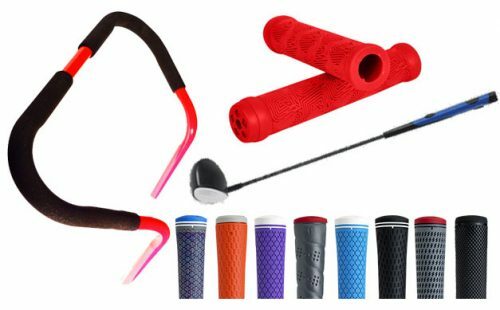 It’s easy to see how hoses are an integral part of all of the items mentioned above. Hoses allow gas to travel from the fuel tank of your car to the engine, water to move from the water line in your home to the dispenser on your refrigerator, and medicine to flow through an IV unit. 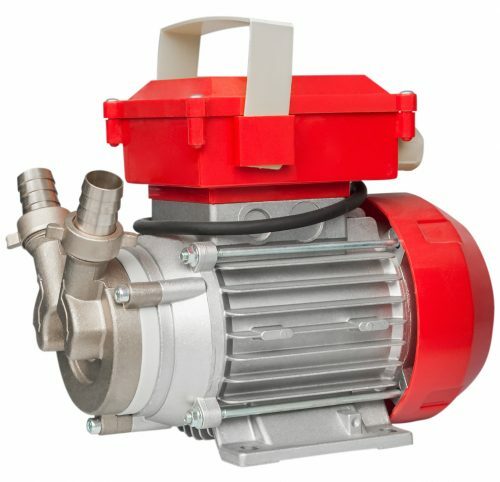 Most hoses are attached to other parts of an assembly by some type of connector, usually referred to as a coupling or a fitting. Hose fittings are typically made of metal or plastic. Anyone who has ever worked with rubber parts knows they can be difficult to assemble. Trying to install, remove or manipulate tight fitting rubber components can be a real challenge. Since hoses are so vital, it’s important to make sure they are assembled properly to avoid problems later on. Parts that are improperly aligned or installed may result in performance or safety issues. Hoses and couplings are designed with a tight fit so they stay together after assembly to function properly and avoid leakage. The insertion force needed to complete the assembly can be extreme, sometimes causing worker injury. So, how do you make hose assembly easier? 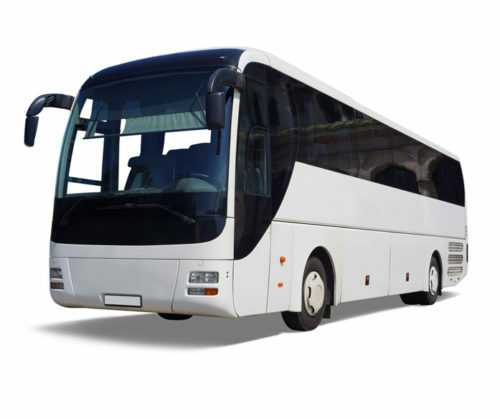 P-80® temporary assembly lubricants can help! P-80 temporary rubber assembly lubricants significantly reduce friction to help rubber parts slide easily into place. P-80 lubricants are water-based, and do not contain alcohol or petroleum distillates so they will not cause rubber to dry out, swell or harden. P-80 does not contain silicon or other persistent ingredients, so once dry you have a tight fitting part. What are the advantages of using P-80 lubricants? What if my hoses undergo pressure testing immediately after assembly? P-80 lubricants provide temporary lubrication, once dry the lubrication ceases and parts stay in place. International Products Corporation (IPC) recommends using P-80® Grip-It for hose assemblies that are pressure tested or drop tested immediately after assembly. P-80 Grip-It provides the lubricity needed to complete your assembly and then dries quickly to allow the natural tight fit of rubber to return. When dry, P-80 Grip-it leaves a tacky finish to help parts stay in place, making it an excellent choice for use on pressure-tested hoses. 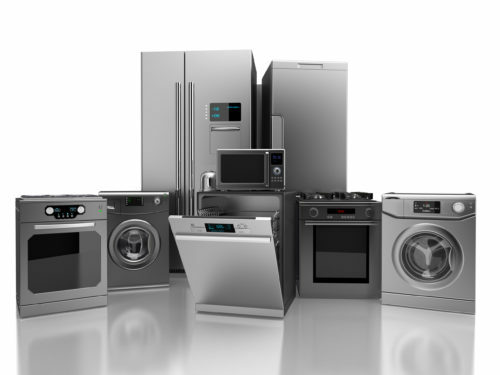 Download our case study detailing how one major appliance manufacturer benefited from using P-80® Grip-It for dishwasher hose assembly to reduce drop test failures. 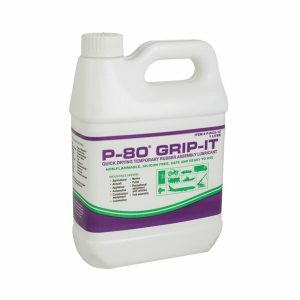 In addition to Grip-It, P-80 is available in five additional water-based formulas, including two that are approved for use in incidental food contact applications. P-80 lubricants offer superior lubrication and are compatible with a variety of surfaces. They are environmentally friendly, most are biodegradable. 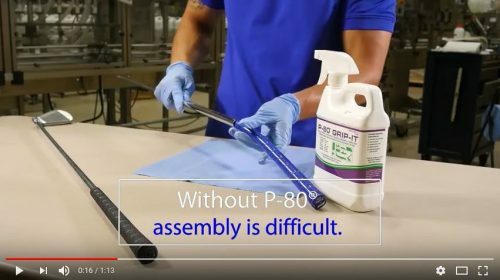 Make hose assembly easier with P-80! Contact IPC’s technical team to help you find the best solution for your assembly needs. There are many safety standards that apply to chemical products. As new standards and regulations emerge it can be difficult for those who buy and use chem ical products to keep up-to-date with proper safety requirements. Many businesses use chemicals in their day to day operations for manufacturing and maintenance. 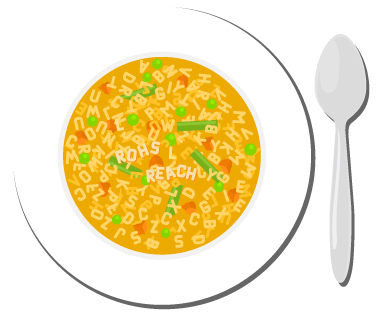 Sometimes it may seem as though the regulations are an alphabet soup of acronyms designed to overwhelm and confuse the average person. Consumers of chemical products rely on manufacturers to comply with all regulations and standards. International Products Corporation (IPC) is giving a presentation at the SAE World Congress Experience at the COBO Center in Detroit, Michigan on Wednesday, April 11th at 2:30 PM (EST). Thomas McGuckin, IPC’s VP of Research, Quality and Safety, will discuss “A Multi-Disciplinary Engineering Approach to Selecting Assembly Lubricants”. The presentation will focus on the benefits of using assembly lubricants in manufacturing, and will discuss how Design Engineers, Lubricant Engineers and Ergonomic Engineers all work together to select assembly lubricants. Show attendees are encouraged to attend the presentation. Visit IPC at booth #6019 for expert technical support and advice on ways to ease rubber assembly operations. P-80® Temporary Rubber Assembly Lubricants significantly reduce the force required to assemble rubber and plastic parts. 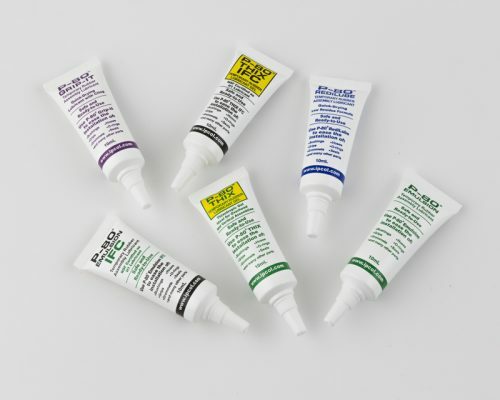 Six unique water-based formulas are truly temporary – once dry the lubrication is gone. IPC’s on-site laboratory offers FREE technical assistance and compatibility testing. FREE SAMPLES are available for testing. The slip resistant nature of rubber or soft plastic components makes assembly difficult. P-80® Temporary Rubber Assembly Lubricants significantly reduce friction, helping parts slide easily into place. P-80® lubricants are water-based and do not contain solvents, silicon or petroleum distillates, so they are temporary and compatible with many materials. 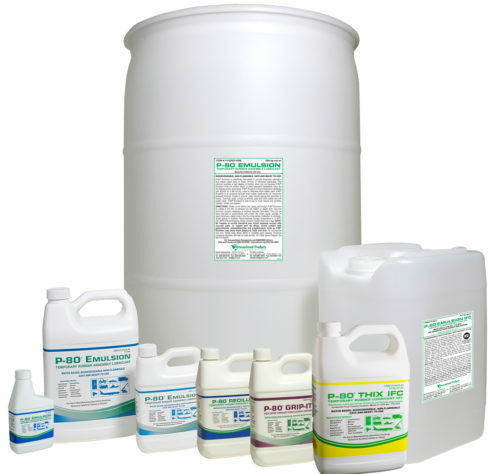 IPC manufactures specialty chemical products, including cleaners and assembly lubricants. Their P-80® Temporary Rubber Assembly Lubricants are uniquely formulated for the installation of belts, bushings, grips, grommets, hoses, O-rings, seals, and other parts. All of IPC’s products are made in the USA, and are sold worldwide. Read more about temporary rubber assembly lubricants including how to use them and factors to consider when choosing a lubricant. Or, contact IPC’s technical team to help you find the best solution for your assembly needs.